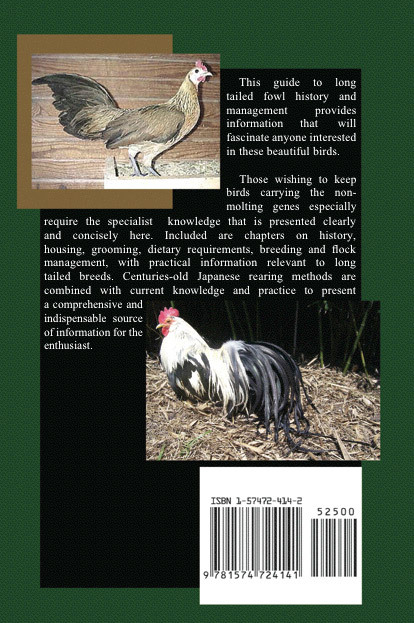 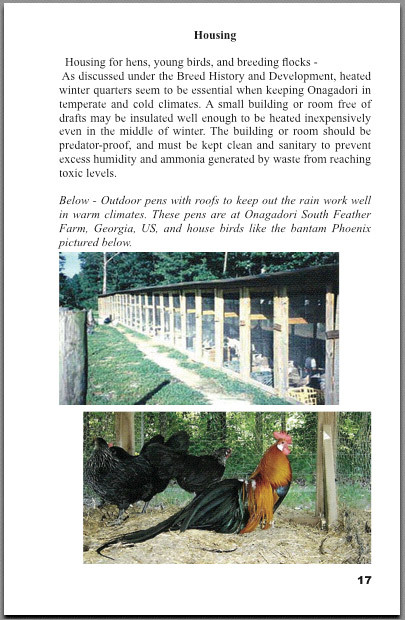 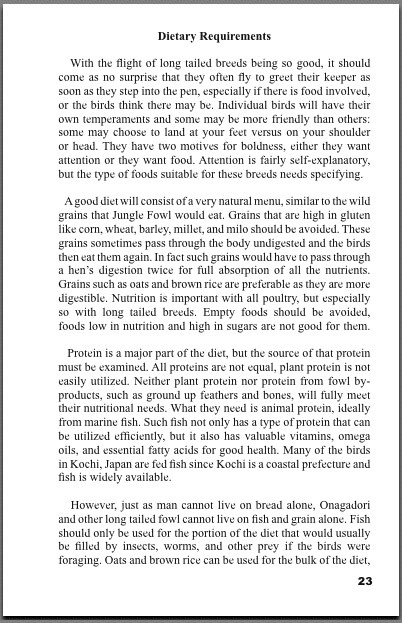 There are few publications in the western cultures of the world that outline the basic requirements of long tailed fowl. 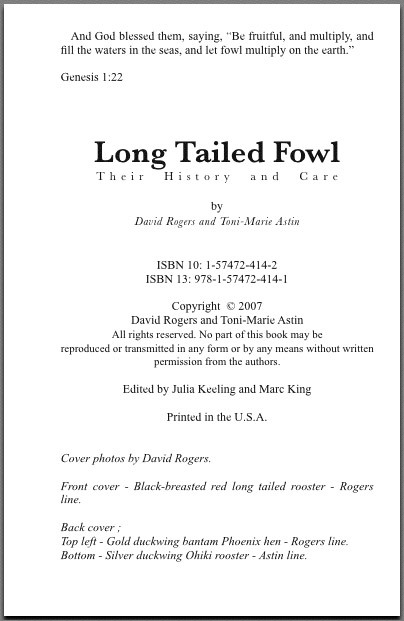 Nearly four years in the making, Long Tailed Fowl, a guide to long tailed fowl history and management provides information that will fascinate anyone interested in these beautiful birds. 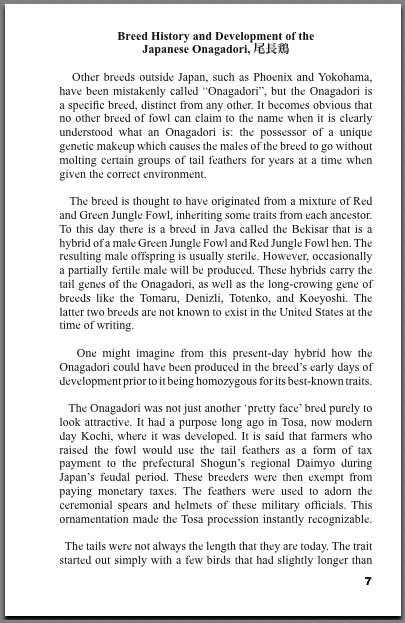 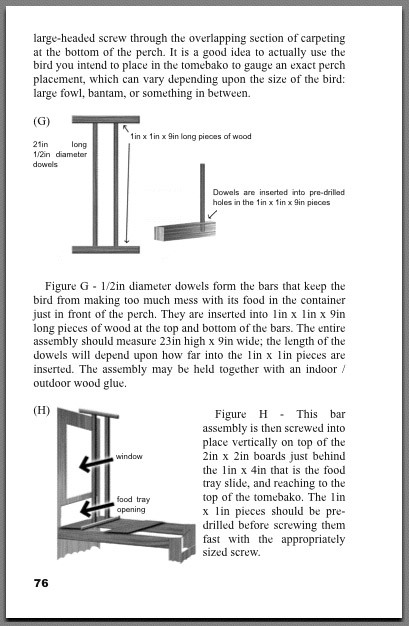 Those wishing to keep birds carrying the non-molting genes especially require the specialist knowledge that is presented clearly and concisely. 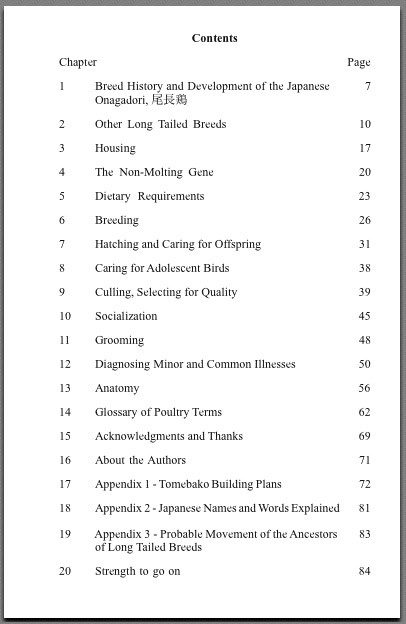 Included are chapters on history, housing, grooming, dietary requirements, breeding and flock management, with practical information relevant to long tailed breeds. 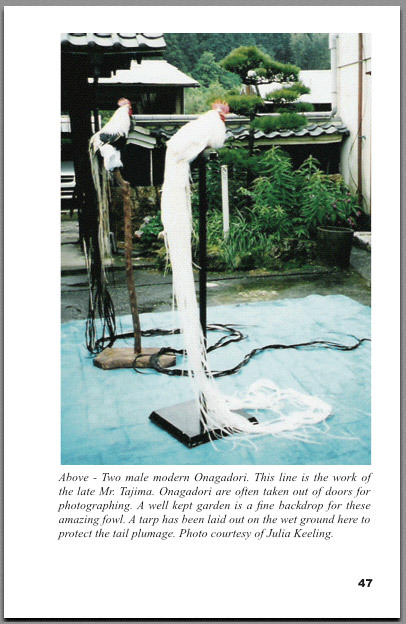 Centuries-old Japanese rearing methods are combined with current knowledge and practice to present a comprehensive and indispensable source of information for the enthusiast. 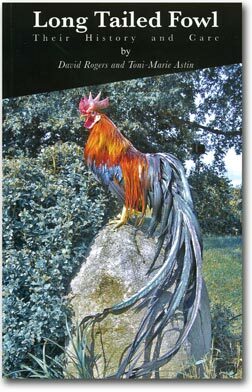 Where to purchase: Out of stock.